Distressed purple denim shorts by Pascucci. These distressed purple denim shorts will be the highlight of your ensemble. 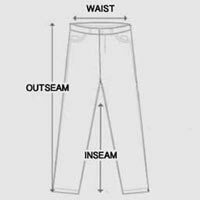 Cotton material features a faded purple hue with several distressed markings along pockets and pant legs. Constructed with belt loops, front and rear pockets, and zipper fly. Distressed purple denim shorts designed with weathered fabric and slight wrinkling for a worn-out vintage effect. Bottom hems are permanently folded with contrasting gray stitches. Faded red denim shorts are an effortless way to introduce a subtle pop of color into your wardrobe. Model is wearing size 30. For accurate measurements check the table below.